Note : This is a guest post from Levi Henrikson, even though some of the links provided in his article might not be applicable to the local context but the gist of it remains. Insurance is one of the great inventions of modern society. It empowers ordinary people to take risks that they would not otherwise be inclined or able to take. The point is, our modern world is fraught with perils and risks. But where there is risk there is also reward. Where there are costs, there are benefits. Whether you aspire to be the next Warren Buffet or simply want to have enough money to spend more of your time doing what you love, we have to take calculated risks in order to obtain the rewards we desire. Insurance helps reduce or eliminate some of these potential risks. Of course, the insurance industry can be difficult to navigate. Some companies might use clever marketing tactics to sell you less for more and some companies can even be downright fraudulent. As a consumer, how can you reap the great benefits that insurance has without fear of being suckered into paying too much or purchasing insurance that you don’t need? 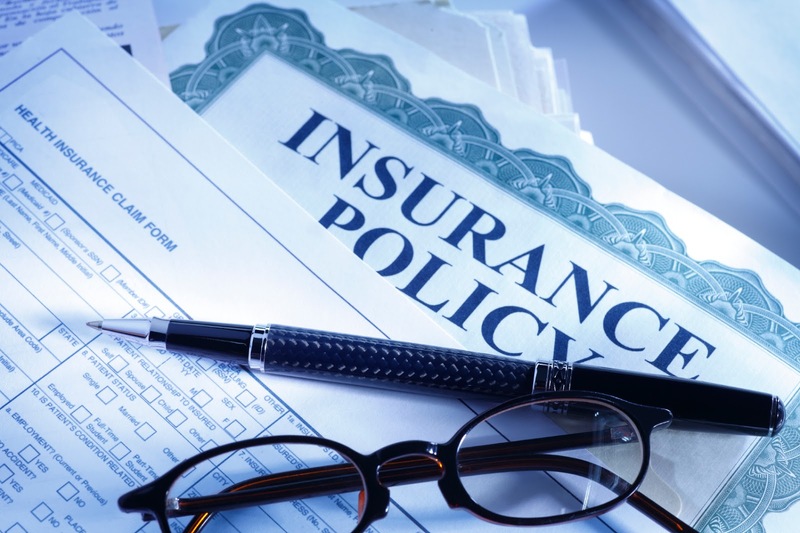 Here are a few strategies you can employ to become a more savvy consumer of insurance. This is a tip I picked up from Dave Ramsey’s blog. Typically, when most people buy insurance they would go directly to the provider to get a quote. But the smarter way is to get help shopping for insurance from an independent insurance agent. At first, this might seem counter-intuitive. Normally, when you have a “middle man” the prices go up, not down. However, the biggest advantage an independent insurance agent has is that they are not limited by the options of a single provider. If you only call on a single provider, of course the sales rep is going to tell you that “they have a plan for you.” Their job is to sell their company’s insurance so they have incentive to persuade you that their insurance will work for you. An independent agent, on the other hand, has access to an entire network of insurance providers and will do the shopping on your behalf. Different providers might have different quotes for different people. The agent can sift through the data for you to find the best options. It’s a win-win-win for everyone. The providers save money on advertising by authorizing independent agents to sell their insurance. The agent gets compensated for his expertise and diligence. And you get the benefit of not having to pay for anything you don’t need and getting the lowest available rates. Health insurance has become one of the hottest (and most controversial) topics of contemporary politics. Especially since the advent of Obamacare many people are becoming more concerned with the cost and availability of health care coverage. Health costs have become almost obscenely high over the years. The precise causes for these rising costs are not obvious. However, one thing is clear: the vast majority of consumers cannot afford health care without the aid of health insurance. Of course, this leads to another problem. Often times health insurance itself is expensive and doesn’t cover all services. And unless you’re well-versed in “legalese” you likely do not know for certain what your insurance actually does and does not cover. A more direct way to save money on health costs is to use a health discount plan. This essentially works like a “club membership” where you would pay a certain fee in order to gain access to exclusive discounts. This can be used either as an alternative to traditional health insurance or as a supplement. Health discount plans can be particularly useful for dental care as these costs are often not covered by traditional insurance plans. There are some types of insurance that we purchase not because it’s a benefit to us but rather because we are a liability to someone else. A good example of this type of insurance is Private Mortgage Insurance. Even if you are a financially responsible person and have a great credit score you will still be required to take out mortgage insurance if you cannot make a 20% down payment on the house. What many people don’t realize though is that there are ways to eliminate your Mortgage Insurance payments. The easiest way is simply to ask. If you already own at least 20% of your home and have been making your monthly mortgage payments on time you can ask your lender to cancel the mortgage insurance. Or better yet, before you close the deal with the lender see if you can get a commitment that they will cancel the need for insurance once you pay for 20% of your home. Another tactic for avoiding Mortgage Insurance is you can take out a loan to pay for the remainder of the 20% downpayment. Of course, you need to do the math and make sure the economics of this maneuver work in your favor, but in many cases it will be less expensive over time than getting the insurance. There are many other kinds of insurance that sound useful on the surface but are actually rather unnecessary. Investopedia has put together a helpful list here. Many people find travelling to be stressful, which is ironic because people usually travel to try to relax. Part of this stress is probably due to the fear of losing valuable possessions. There are just many things that could go wrong on a trip: you could have to cancel your flight, you could lose your bags at the airport or hotel, you may have to evacuate due to a disaster, your belongings could be stolen, you could be faced with departure delay and have to stay at a hotel, and so on. It’s for reasons like these that you might want to consider travel insurance when you take a trip. If nothing else, just the peace of mind might be worth the price and you can get some much needed relaxation. The likelihood of something “bad” happening on your travels increases the longer and more frequently we travel. It’s wise to simply expect things to go wrong once in awhile and prepare accordingly rather than panicking as they happen. These are just a few of the strategies you can implement to be a more savvy consumer of insurance. Insurance can be a great asset in your life if you know what to look for. It provides peace of mind and empowers you to take risks that you may not have been willing or able to do without. If you really want to have peace of mind. Levi Henrikson is a freelance writer who enjoys music, marketing, personal finance, and self-improvement. He is also a proud father and husband.